In the previous lesson, you learned about primitive values. We briefly touched on structured values as well. Let’s take a closer look at them now. Given that there are 15 different kinds of values, make sure you read the Microsoft M-Language Specification, as I will only provide a brief introduction here in order to grow your appetite to learn more. Let’s go ahead and create a list of greetings in different languages. 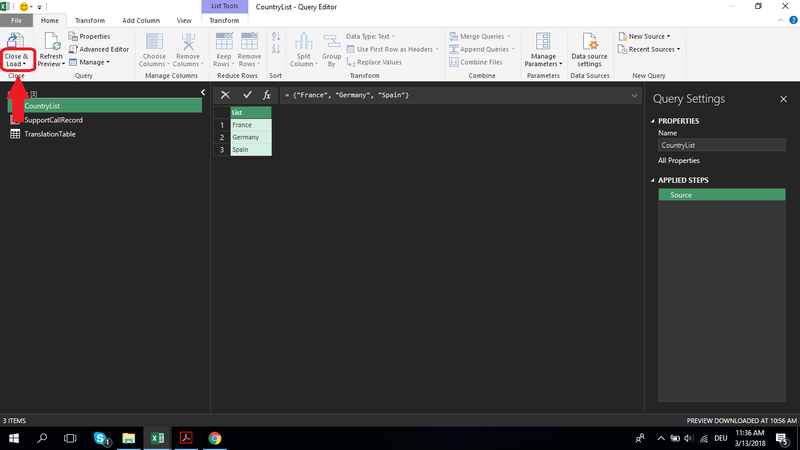 Open up the Advanced Editor and type out the following code. Hit Done. You just created a sweet, little list of countries. In the Properties > Name field change the default name Query1 to something more meaningful, for example: CountryList. Hit enter, otherwise the name is not going to change. Let’s go ahead and create a record. Select New Source > Other Sources > Blank Query. 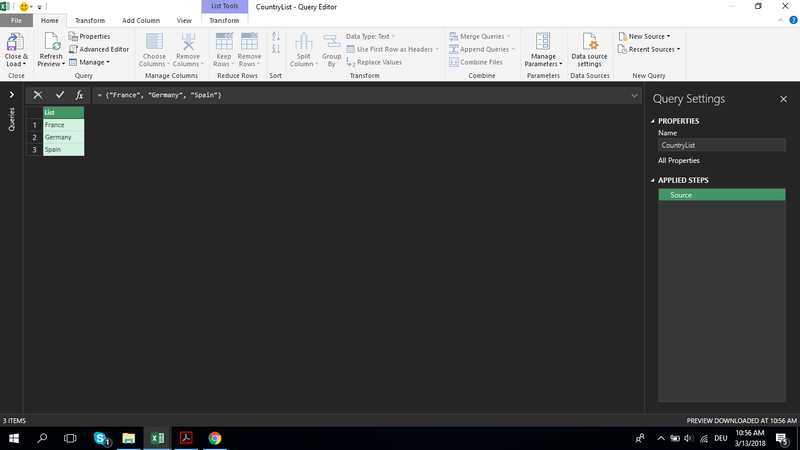 Next click on the Advanced Editor icon and type out (or copy and paste) the following code. 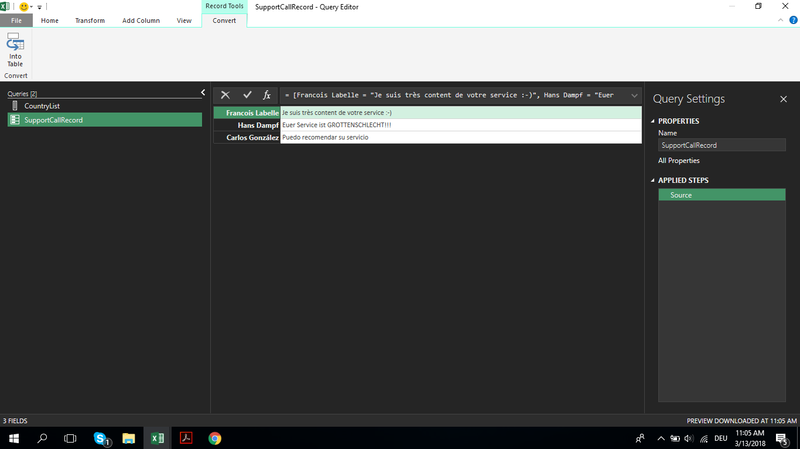 Hit Done, and next, under Properties > Name change the default name Query1 to SupportCallRecord. You should see this. Now, let’s crate a table. On the Home Tab, select New Source > Other Sources > Blank Query. Click on the Advanced Editor and type out this code (or just copy and paste it if you like). 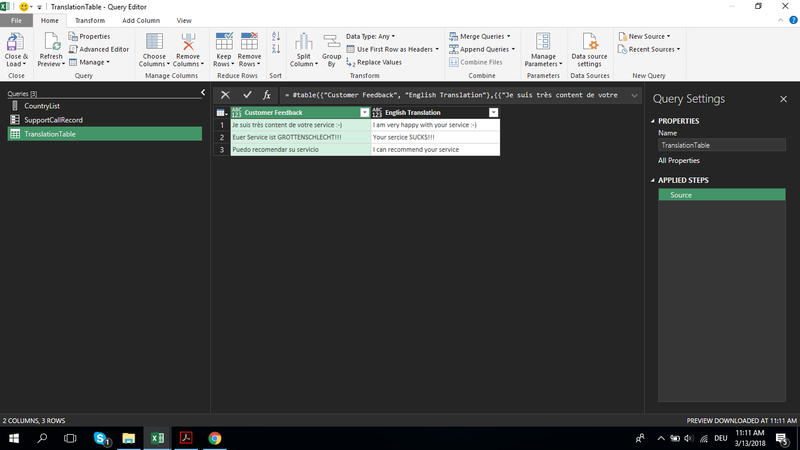 Hit Done, change the name from Query1 to TranslationTable and hit enter. That’s what you should see now. How would you consolidate that data into one readable, meaningful table? That’s where M-Language shines! In the next chapter, we will do exactly that. An Import Data window will pop up. 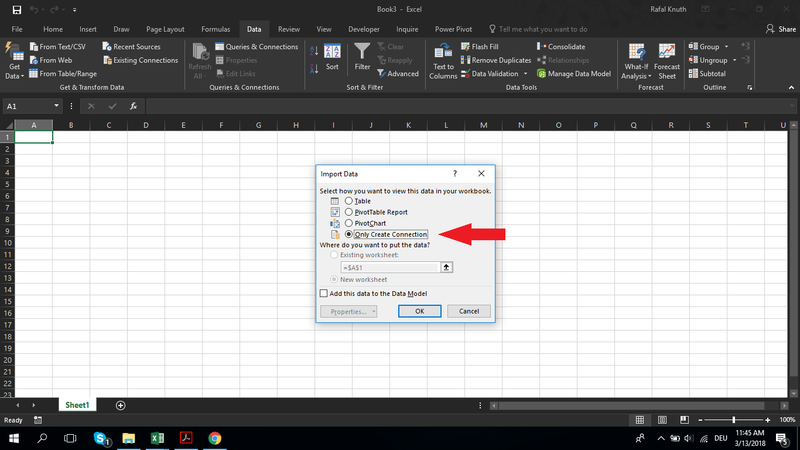 Select Only Create Connection and hit OK.
Next, select the File Tab and save this Workbook on your computer as SupportData. Lean back for a minute, and let’s move on to the next lesson!